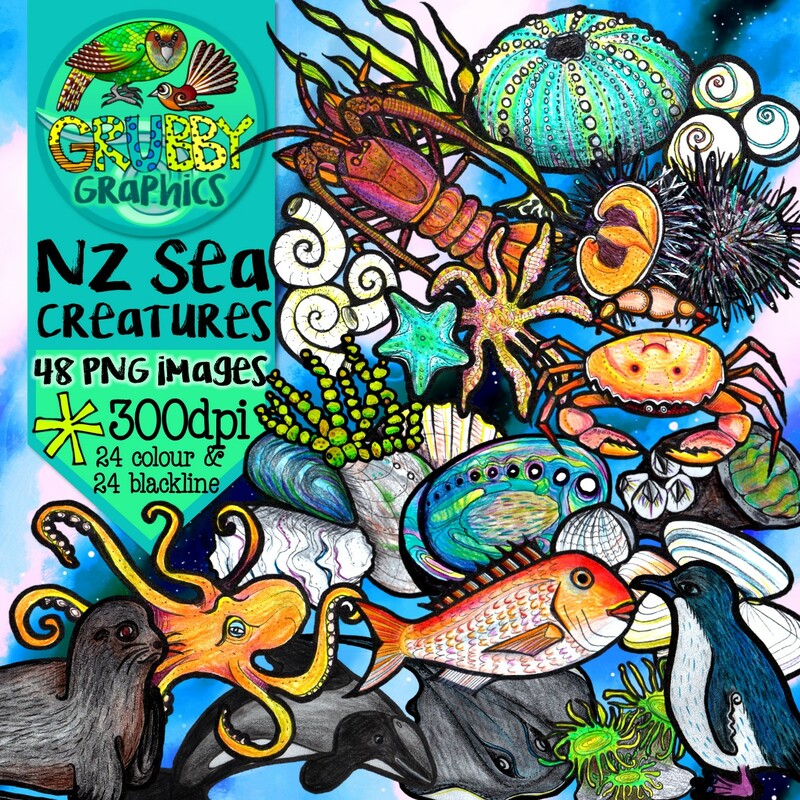 Exploring the good old Kiwi ‘rock pool’ unit or taking your learning to the beach? 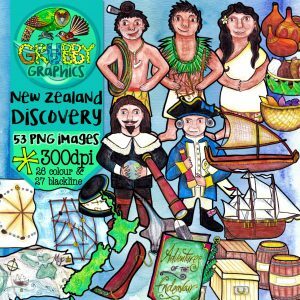 Then this is the perfect clip art set for you! 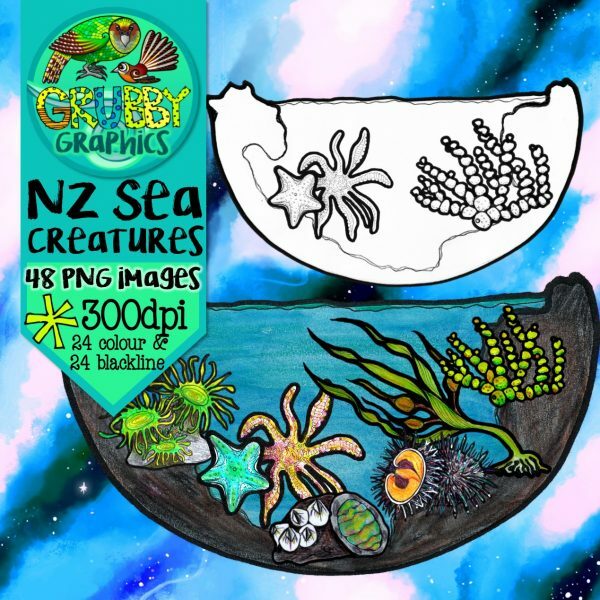 This selection contains some of the fascinating creatures and plants that are commonly found in New Zealand’s waters and on our beaches. 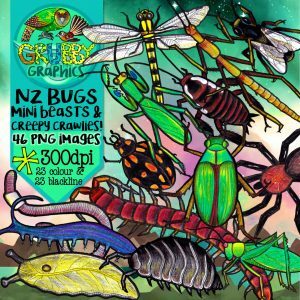 This set contains 48 images (24 colour and 24 blackline) as high quality (300 dpi) PNGs with transparent backgrounds. 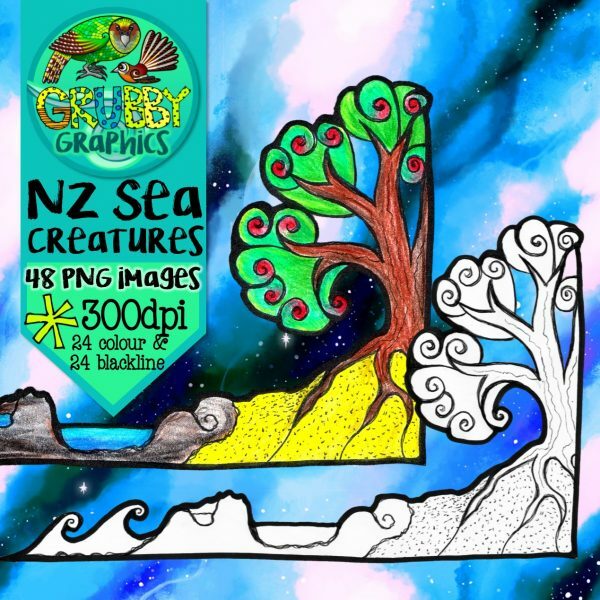 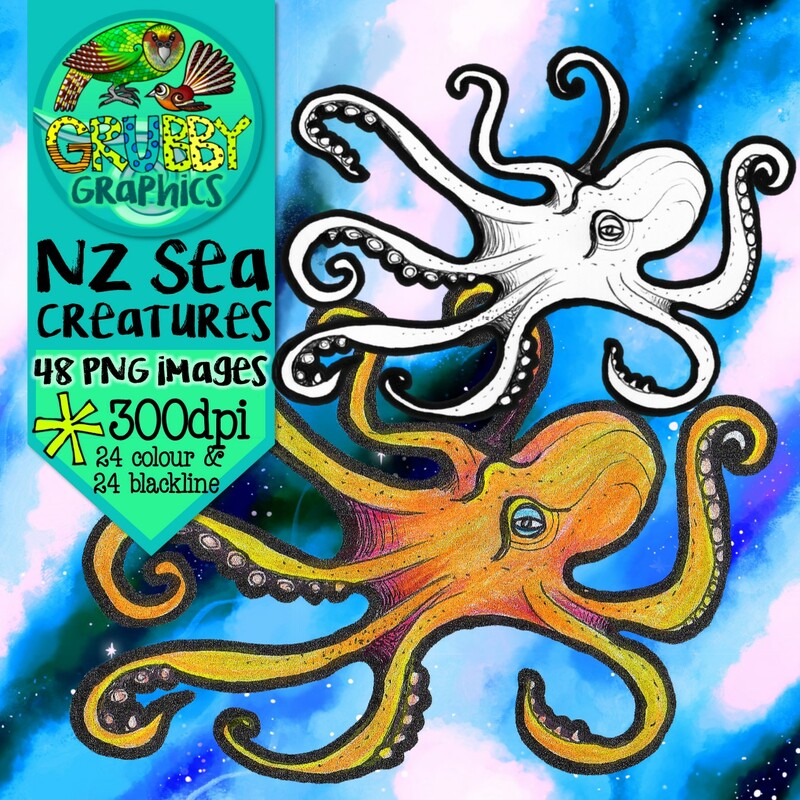 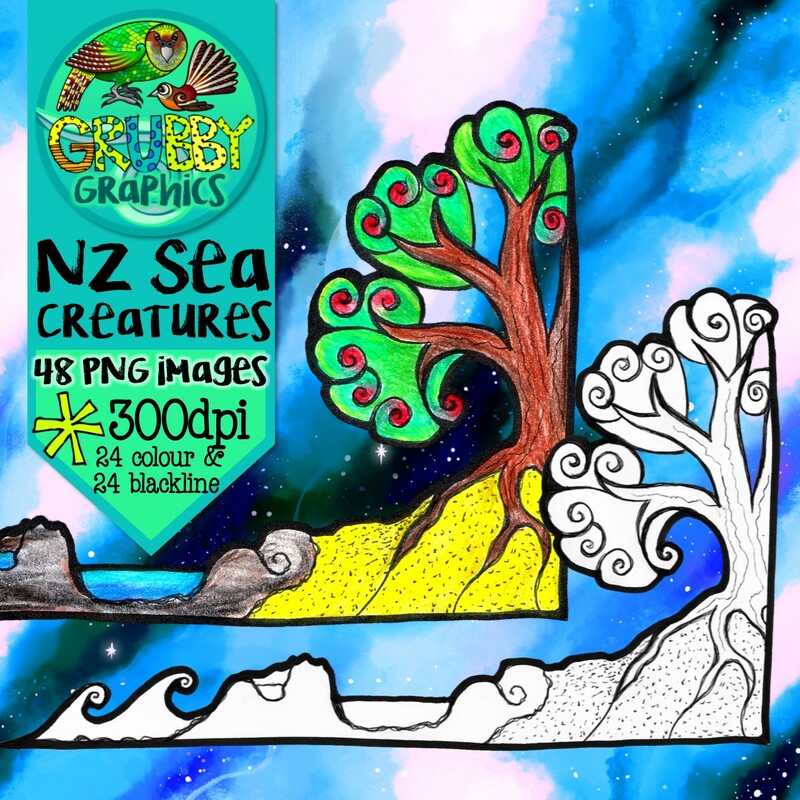 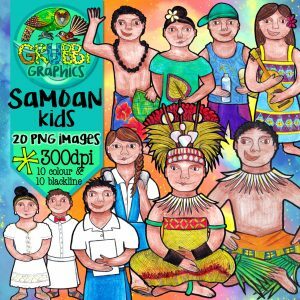 • When you purchase Green Grubby Graphics, you are not purchasing the copyright and you cannot claim them as your own.